2008 Nautique 210 SAN TE 2008 Super Air Nautique Team Edition, Powered by a PCM EX 343, Cover, Wakeboard tower, Bimini, Board racks, Tower speakers, Docking lights, Side guides on trailer, Swim platform, Zero off cruise control, CD player with remote, Tilt steering wheel, Snap in carpet, Comes with a DHM trailer. 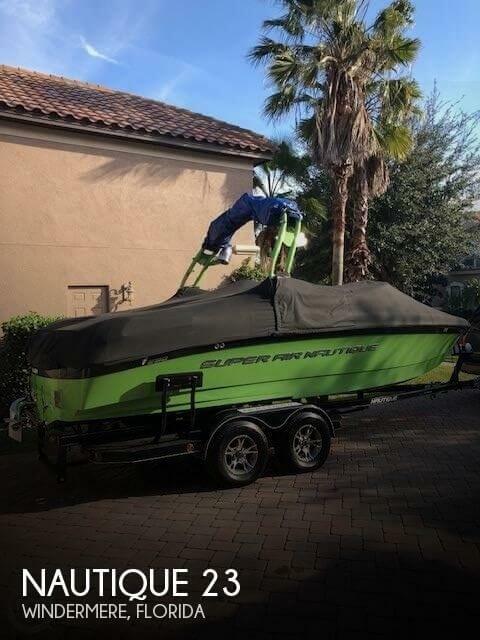 2018 Nautique Super Air Nautique GS20 2018 Nautique GS20, PCM ZR4 MPI, MX Series stereo, Nautique LINC PANORAY with helm control Zero Off GPS, Wake package (NSS, WAVEPLATE, 1850 Integrated ballast), Flight control tower with rotating wakeboard/wakesurf racks, Navigation and docking light array, Cleats (4), LED courtesy lights, Cooler (removable), Waste receptacle, Surf pipe, Walk-thru air-dam door (slide-in), Nautique awareness cam, Battery maintenance system 110, Tower mounted bimini with surf pockets, Bow filler cushion, Towable mooring cover, Platform cover, 1 Pair 7.7 JL M-series tower speakers, Surf Select with surf switch, Tandem axle trailer. 2018 Nautique GS24 2018 Nautique GS 24, PCM H5 DI 5.3L, MX-Series Studio Premier stereo with Zone Control, Removable lean back (starboard), Flip-Up lounge seat, Nautique Configurable Running Surface with Hydro-Plate, Nautique LINC PANORAY with helm control, Zero Off GPS, Wake package with 2500 lbs. 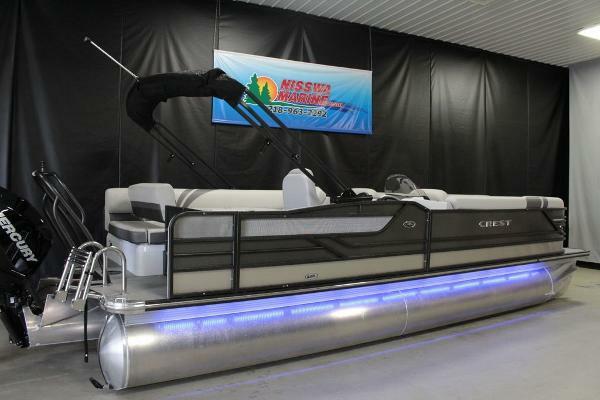 of integrated ballast, Nautique Surf System (NSS) with WAVEPLATE, Flight control tower with rotating wakeboard/wakesurf racks, Navigation and docking light array, Surf pipe exhaust, Cleats (4), LED courtesy lighting, Walk-thru air-dam door, Awareness camera, Battery maintenance system, Tower mounted bimini with surf pockets, Bow filler cushion, Towable/Mooring cover, Platform cover, Retractable ski pylon, 1 pair 7.7 JL M-Series tower speakers, Surf Select with surf switch, Tandem axle trailer.